Starting your own clothing line is an obviously profitable business in Bangladesh. In this post, I’ll share some tips and knowledge about Fashion house business Bangladesh based. Fashion house or own clothing line business is a dream of many Bangladeshi entrepreneurs. Hope this post will help you. It is very important to make a business plan for your fashion business. You have written a realistic business plan when write. Mention your all strength and weakness to start own clothing business in Bangladesh. This is a very competitive profitable business idea in Bangladesh. So you have to do some special to do well in this business. 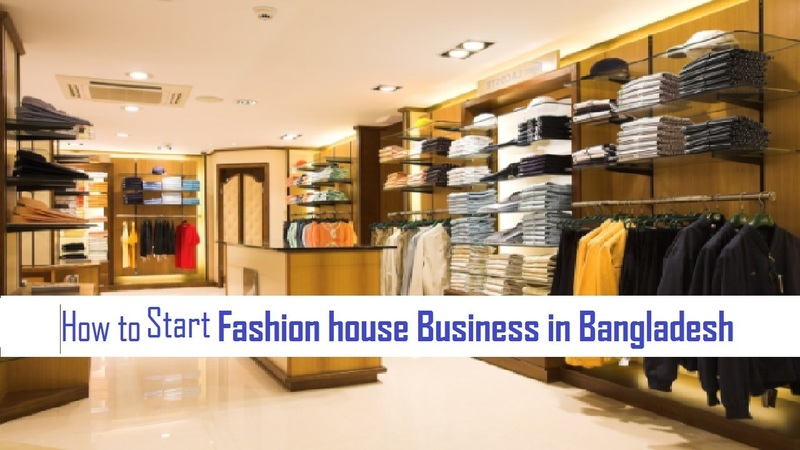 Try to find out the reasons why you should start fashion house business Bangladesh. Why will you perform better in this business? What is your strength and also the weakness? What about your competitor? And the most important question is where you will start? This is very tough to say how much do you need to start a fashion house business in Bangladesh. It depends on many things. At first, the location is the main fact. Then the size of your business. Next what kinds of products you want to sell. I pretty sure you have to invest more than 7 lacks to start this business in a comfortable way. The first steps to start this business is a business plan. Then make sure you have enough money to start. One thing you have to remember that never borrow money to start any business. The next step is to choose a perfect location for your business. Then you have to decorate your shop in a unique way. Then the next step is to find good suppliers. Eid ul Fitr, Puja or any other occasion is the time to boost your business. So you have to understand that, your business is slow but still profitable. Nowadays, people don’t like any hassle when they are shopping. A reasonably fixed price shop is very attractive because your customer will feel more comfortable. At the same time, you will make a good profit. If you want to run fashion house business Bangladesh based in more comfortably then make it online version too. An online shop can be taken as a side business also.